Join us for a lively small group discussion over drinks and appetizers! 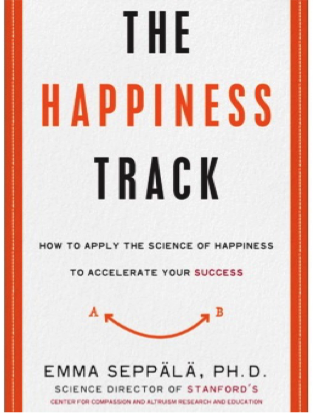 This month we will be reading: The Happiness Track: How to Apply the Science of Happiness to Accelerate Your Success by Emma Seppälä. Drawing on the latest findings from the fields of cognitive psychology and neuroscience - research on happiness, resilience, willpower, compassion, positive stress, creativity, mindfulness - Seppälä shows that finding happiness and fulfillment may, in fact, be the most productive thing we can do to thrive professionally.